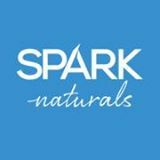 Spark Naturals’ mission is to provide all consumers useful, luxury products – intelligently priced – to support health, wellness, and life quality, along with the tastes, of the most discriminating consumer. Spark Naturals is a class act from start to finish. We received the Zaq Ultransmit Mirage, which is a diffuser for aromatherapy. The diffuser is simple, easy to use and attractive. In fact, we are going to have to have some modicum of vigilance as our housemate has been eying it with some degree of wrongdoing in her eyes. She wants it. Who wouldn't? The bottom portion of the apparatus is comprised of a translucent white, which appears to change colors as the mist outlet expels smoke wisps with every pulse. It's very quiet. Spark Naturals also included 12-15 ml bottled aromas for this gentle writer's perusal. These are beautiful bluish-purplish bottles with black caps and stickers on top to identify its contents. Caveat, the instructions state that one must add 2-3 drops of an essence to the water tank. We weren't sure about this, so we shook that little bottle as though it were a bottle of ketchup at a greasy spoon cafe, or a pre-licked salt shaker. The ensuing aroma wasn't overwhelming. Fortunately. 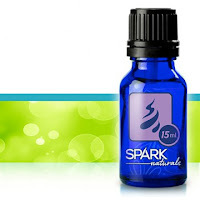 To add to our Spark Naturals ardor, we submit the following specials. However, before we do that, we would be remiss if we didn't also state that we have always been curious about aromatherapy and now that we've tried it, we do not see any non-aromatherapy nights ahead. No. We are hooked. Spark Naturals is doing a promo for the month of March. If you are a current Oil of the month club member or if you sign up in March you will get the 15ml bottle of Lavender but you will also get a 5ml Wild Orange as a bonus! Thank you Spark Naturals. The pleasure was truly ours.